The Fifth Annual Fall Frag Fest will be on Sunday November 4, 2018 at the Knights of Columbus Hall in Centerline, MI. The swap hours are 12:15 to 4:00pm. Admission is $5 per person, kids 16 and under are free. We will have a vendor raffle at this swap. The drawing will start at 3:15pm. Every paid entry will receive 5 FREE tickets for the raffle. Additional tickets will be available for purchase. You must be present to win most items. 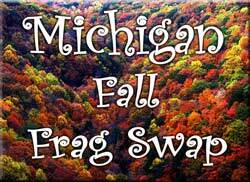 The Michigan Fall Frag Swap is the largest swap in metro Detroit! You don't want to miss the Fall Frag Swap this Sunday. More raffle! More corals! More is better!